Digitization of manual and paper-intensive processes has long been shown to increase efficiency. “Digitalization” goes beyond process automation to engage with people to address particular needs. 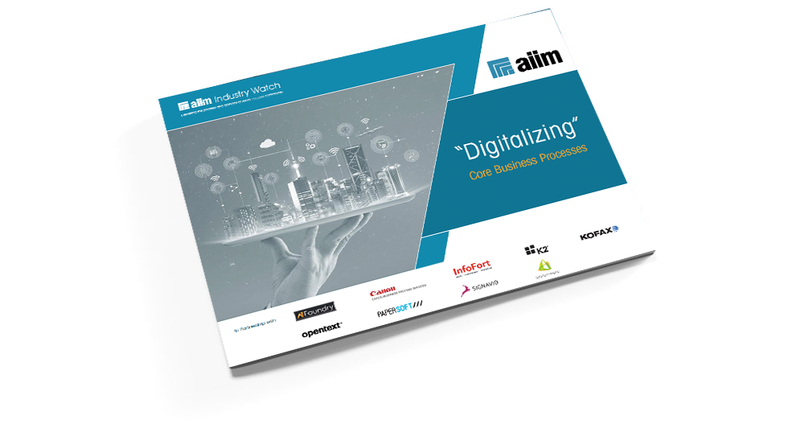 In this report, sponsored by Systemware, AIIM takes a deep look at how businesses are executing processes nimbly and on demand through the use of Robotic Process Automation, Multi-channel intelligent capture, and high-volume process automation using a combination of best practices, process improvement, and technology.